East Harbour Development First Gulf Learn more here about East Harbour Development. CondoNow curated list of Toronto New Condos near the East Harbour Development in pre construction or under construction. The East Harbour Development of the Unilever Soap Factory calls for a creative blend of office and retail spaces, cultural and public amenities, restaurants and entertainment, parks and walking trails, and more. 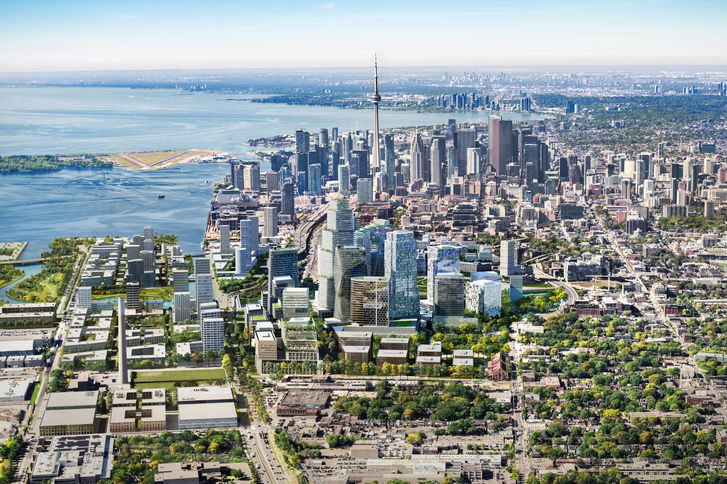 East Harbour will bring more than 50,000 jobs and a vibrant new district for Torontonians to explore and enjoy. On April 10, 2019 the Progressive Conservative government announced that the much-anticipated downtown relief line will be doubled in size and called the Ontario Line, as part of a $28.5 billion transit plan. The new line would run from Ontario Place to the Ontario Science Centre with a proposed stop at East Harbour. Some Excellent Walk and Transit Scores! Learn more here about East Harbour Development.